This contest started on 5/14/18. This contest has a winner. 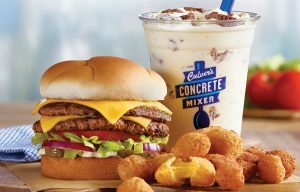 * Win A $25 Culver’s Gift Card. 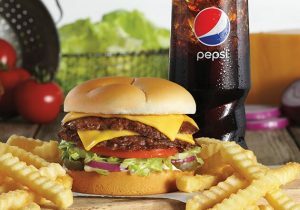 The $25 Gift Card is good at any Culver’s location (check Culvers.com for locations, menu, prices). Jeff Eats has eaten in handful a of Culver’s- and I gotta tell you guys, this joint’s frozen custard, burgers, fries are absolute dynamite! Jeff Eats is kinda thinking that some of you guys may not be all that-familiar with Culver’s, so…Culver Franchising System, Inc., doing business as Culver’s, is a privately owned and operated fast casual restaurant chain featuring frozen custard and hamburgers that operates primarily in the Midwestern United States. The first Culver’s opened in 1984 in Sauk City, Wisconsin. As of March 28, 2018, the chain had 655 restaurants across the United States with 49 currently in the State of Florida! Love Culvers … great variety and the custard! One of the best fast food burger joints in America. Looking to be there for lunch with family.